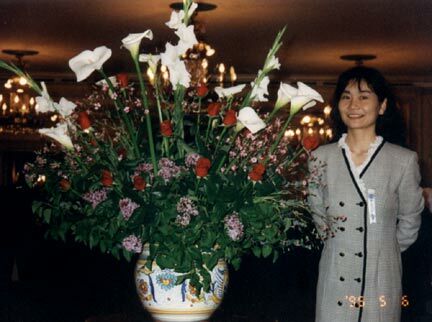 MAYUKO MINAMI, an artist of contemporary IKEBANA (Japanese Flower arrangement), was born in Japan. 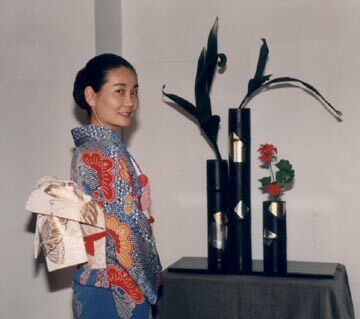 After throughout training in the traditional art of IKEBANA, she moved to Europe in 1990 to broaden her perspective. The following twelve years she spent in Europe and cultivated the distinctive style which you see today: a refined, elegant, yet provocative composition accompanied with a touch of western influence. In her work, she seeks to push the envelop off Ikebana by combining experimental elements, such as music and movement in her creative process. Her collaborations include those with musicians, dancers, poets, painters and sculptors. 2005 08 She has a future engagement to perform Peaceful Event of Hiroshima& Nagasaki with Italian National Orchestra at Colosseum in Rome, Italy. 2005 04 Invited for Spring flower intensive course in Swiss, Italy, Belgium, France. 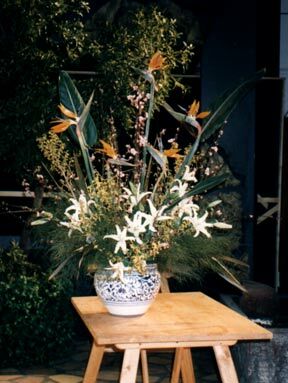 2004 11 Created IKEBANA for Opening ceremony of New Broadway Musical " Pacific Overtures" at The Martin E. Segal Theater in the graduate center, CUNY. 2004 11 Performed IKEBANA with classical piano live concert inspired by pieces of Chopin & Debussy at Polish & Slavic center theater in Brooklyn. 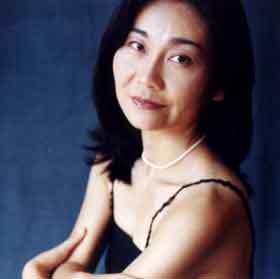 2004 10 Celebrated with flower for Piano solo concert at CAMI recital hall in NYC. 2004 05 Demonstrated Ikebana history and practice for Ikebana International in Washington D.C. 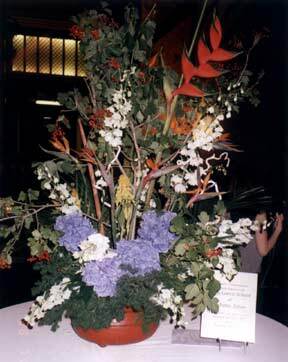 Performed flower arrangement with Japanese original music and exhibited works at theater of Japan culture center in Washington D.C.
2004 04 Created welcome flower and demonstrated Ikebana history, practice for event of Japan- America society at the entrance of Hotel Hilton in Washington D.C.
2003 09 Invited to create a flower composition by Metropolitan OPERA Theater musician's reunion where arrived many artists include General Manager Joseph Volpe. flower demonstration and taught workshops at Durham University, St. Aidans College, organized by Ikebana International in UK. Performed flower arrangement with music for a New Year celebration of the Saga Goryu flower school in Sapporo, Japan. 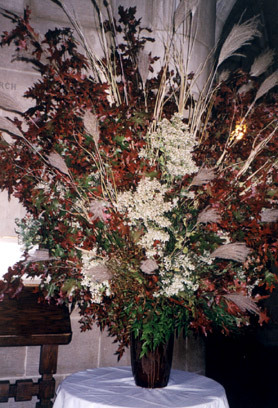 Exhibited flower arrangement for Riverside Church peace ceremony in NYC for 3000 guests. 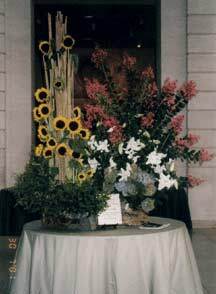 Created flower arrangement for special events organized by National Assembly of States Arts Agency at the International Center of Photography, American Museum of Natural History, and Metropolitan Museum of Art. Performed "Ikebana and Music" at the sculpture garden in the Brooklyn Museum. Presented a live flower arrangement performance with singing for the Japan Festival at the Williamsburg Art and Historical Center in Brooklyn. 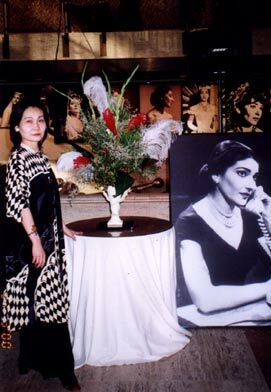 Created an Ikebana inspired by the work of Maria CALLAS for New York City Opera's CALLAS Memorial Exhibition. Ikebana and song presentation for an event at the Japanese Embassy in Brussels, Belgium. Participated in a gala performance of painting exhibition at the Pallazo delle rsposizioni (Museum of Modern Art) in Rome, showing work inspired by spring songs. Invited by the Buddhist Association of London to present her work. Demonstrated Ikebana works on the Italian television network RAI. Organized Ikebana presentations in various European countries. Displayed for the Italian jewel Exhibition in the Hotel Excelsior in Rome. 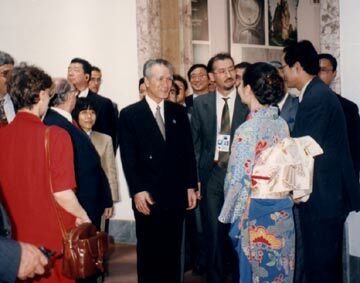 Displayed works in the Japanese Ambassador's residence at Holy See, Vatican in Italy. Created an Exhibition of Ikebana during the G7 summit in Naples at the National archeological Museum. She met the Prime Minister of Japan and other world leaders. participated in the Antique Fair at the Palais Des Brussels. 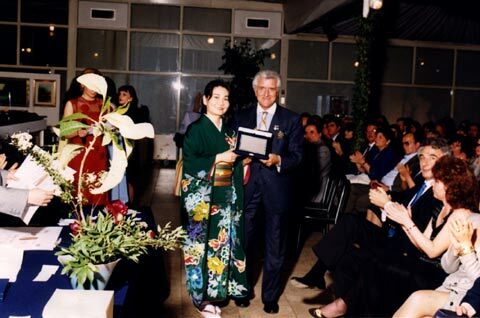 She prepared Ikebana for a well-known Japanese restaurant in Rome. 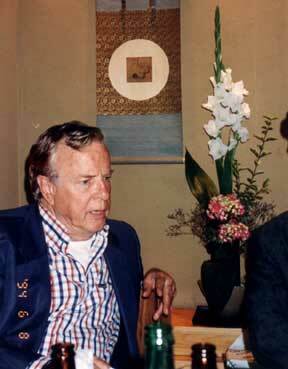 Italian Film director and Opera scenographer Mr. Franco Zeffirelli arrived for his meeting and sent compliment for her Ikebana. Award from the city of Tenri (Italy) for participation in the Japan festival at the Verdi Theater. Received teaching diploma from the Saga Goryu School of Ikebana, Kyoto, Japan.